The Roadster, presented at the famous event 'The Quail, A Motorsports Gathering' in Monterey, is available in a limited series of 500 units worldwide and is the first series-produced, open-top Lamborghini to bear the name Superveloce. ''The Superveloce is the purest, most sports-oriented and fastest series production Lamborghini ever. The Roadster version represents our commitment to satisfying our passionate clients with immensely emotional driving dynamics combined with an extraordinary open air experience,'' Stephan Winkelmann, President and CEO of Automobili Lamborghini said during the press conference at The Quail. The new car offers improved performance with a power increase of 50 hp to 750 hp and a dry weight of 1,575 kg - 50 kg lighter than the Aventador LP 700-4 Roadster. 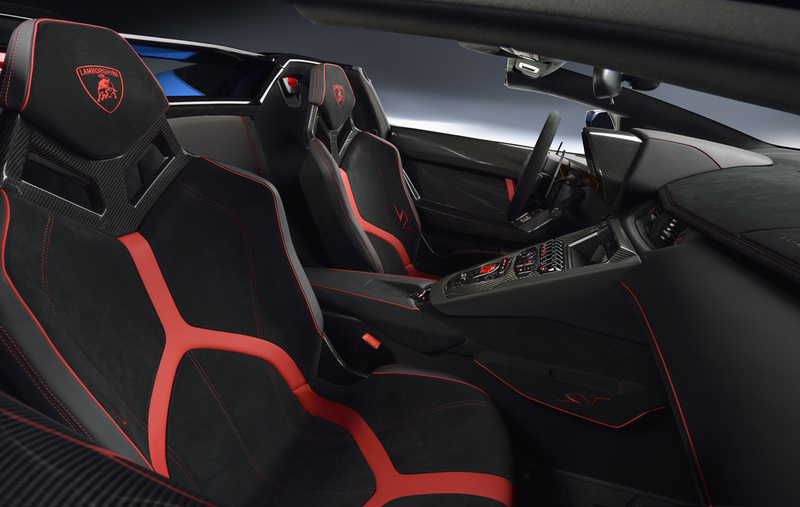 In an enhancement to the Superveloce Coupe experience, the new Roadster features a powered rear window that allows the engine sound to fill the cabin with 'invigorating tones and harmonics during spirited driving', says Lamborghini.